The newest trailer for Wreck-It Ralph 2: Ralph Breaks the Internet has been released and it is a fairly aggressive Disney commercial. 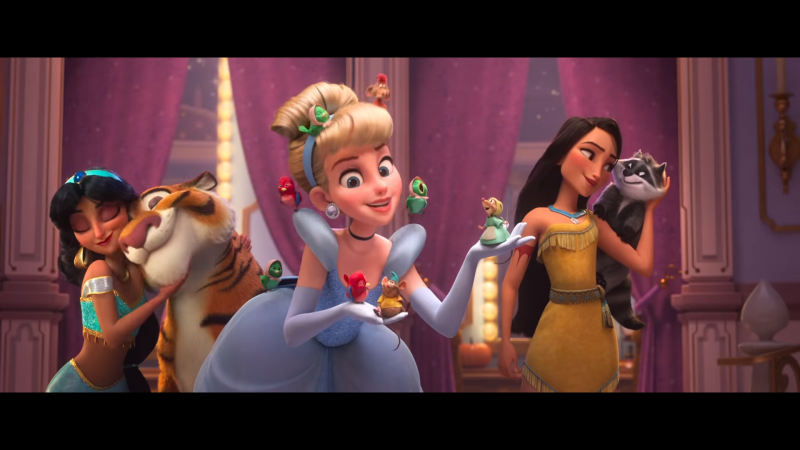 While the first Wreck-It Ralph was a Who Framed Roger Rabbit-esque melting pot of video game references and characters, the sequel is eschewing those licenses for a story of properties owned by Disney and general jokes about the internet. It is like The Emoji Movie but probably way better. You can catch the new trailer below. I am admittedly a bit disappointed, simply because a sequel to the first movie's video game focus could probably expand it to include a lot more cool references, but I am guessing that's a lot harder than just using your own properties. Hopefully they lean into things like Marvel and Star Wars pretty well. That said, I am not sure why Disney princesses live on the internet. Ralph Breaks the Internet is going to hit theaters on Thanksgiving.